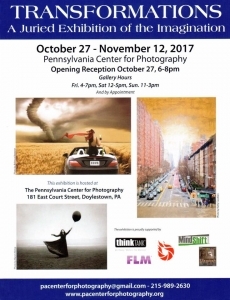 Congratulations to the members of Churchville that were accepted to the 2017 PA Center for Photography exhibit TRANSFORMATIONS! My daughter, Susan Helfrich, and I are excited to become members of Churchville Camera Club. Hello to all my former friends!